MAC Sable Eyeshadow ($15) and I go way back. I think it was maybe the fourth or fifth eyeshadow I brought home from the line, and I remember the day we met because of the hot guy in drag who helped me pick it out. He looked fierce working behind the MAC counter, like straight off a runway, and I asked him what he was wearing on his eyes. 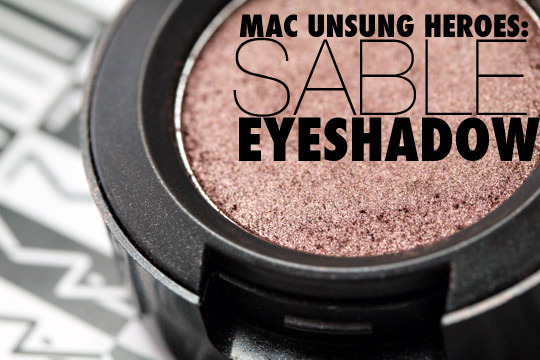 He said it was Sable, a bronzy golden plum with a frosty finish, and he considered it one of the most flexible MAC shadows, saying it went with just about everything. I’d already decided to get it when he said he thought it would really pop on my skin. Since then Sable and I have been plummy partners in crime. Talk about flexible! 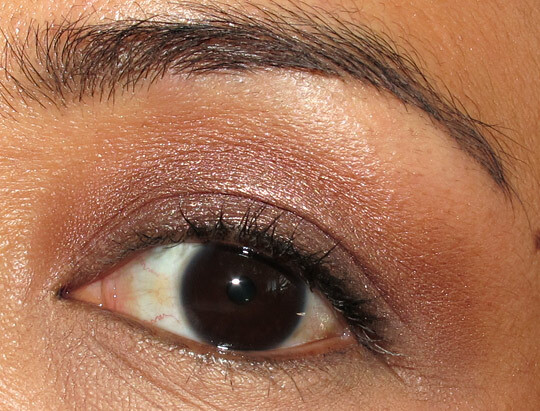 I LOVE pairing it with gold, bronze and plum eyeshadows like MAC Woodwinked, Mulch and Trax, but that’s not all. I think it also knows how to nudge the best out of MAC’s many fabulous neutrals, shades like Ricepaper, Soba, Soft Brown, Brule, Club and Saddle, among others. It’s the ultimate enabler when it comes to lazy looks. Sometimes I’ll reach for Sable when I want sultry, smoldering eyes but don’t want to have to blend (and blend and blend) a black eyeshadow like Carbon; other times, I’ll just line my eyes quickly with MAC Teddy Eye Kohl, smudge, and then pat Sable on top for a quick and easy, put-together look. Sable isn’t just flexible, either. It’s also super pigmented and a breeze to blend. I get a ton of mileage out of it, and I think it’s truly one of MAC’s greatest hits. I hope your week got off to a good start. I’m looking forward to catching up on the latest True Blood and Drop Dead Diva episodes tonight (I missed TB last night). Oh, and if you have any favorite healthy cooking/recipe websites, please send ’em my way. I need to expand my healthy repertoire. Next Post: Sula Beauty: Your Thoughts? I guess MAC takes their all genders and races thing seriously because there is a trans-gender woman who works at my local MAC counter. She is mind-blowingly gorgeous and I know most people wouldn’t even be able to tell she is trans. I’m just very observant! Anywaaaaay, this is a really pretty color. You’re tempting me with all these MAC shadows. And I claim not to like MAC shadows! I think this one just might change your tune. It’s really buttery, soft and so easy to work with. Plus it goes with almost EVERYTHING! 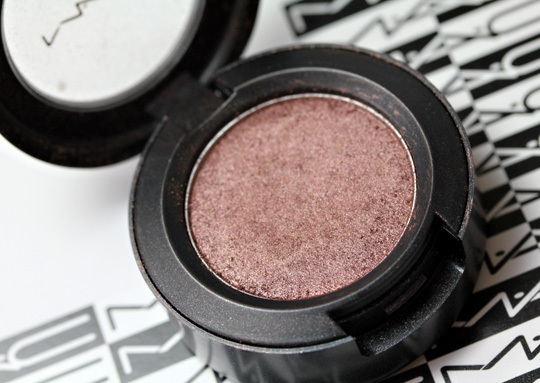 I adore this shadow, it’s such a flattering shade. Thanks so much for the link. The basil hummus looks DELISH! What are some of your other favorite MAC neutrals? laksh recently posted … Review: E.L.F Daily brush cleaner is cheaptastic!!! Thanks, Laksh! Have a great day! Pretty shade! Love it. One cannot have too many neutrals! Crystal recently posted … Congrats Lauren Luke My Smokey Classics Winner! Isn’t it just gorgeous? Love it! That is my absolute favorite color! I’ve been using it for years non-stop! I use it as a base, blend, whenever I want to tone down a color…the possibilites have been endless. So glad to hear you love Sable as much as I do. What are your favorite ways to wear it? I’m always looking for new combos. what are you wearing on your lips? I love it! I love sable. I think it is great when paired with cranberry. Here’s a website that I really like for healthy recipes: http://www.skinnytaste.com. I love that website, Mrs. Sark! What dishes have you tried? I have a couple that I go back to over and over again. YUM! This would be a really pretty color on you, Chris. I can’t wait for you to try it! I wanted Sable SO BAD last time I went to MAC. They were sold out :(. Now I want it even more! Luckily it’s permanent so it’ll always be around. Hopefully next time you’re their you’ll be able to pick it up! By the way, I love the unsung heroes :). Erin recently posted … I’m broke, but I’m happy. Thanks for the posts on the MAC Unsung Heroes. I’m kind of a MAC newbie, but I’m getting a list together of items I want to buy (treating myself for my birthday) so these posts are helpful in deciding what I want. Hope you enjoyed True Blood! Glad to hear you’re liking the series. What items are on your birthday list so far? Sooo I’m finally caught up on True Blood and all I have to say is WOW! The latest episode was so good! So far I’ve got Technakohl Liner in black, Blot Powder, Teddy Eye Kohl and EvRev lip gloss. 🙂 Still deciding on the eyeshadows. Karen those bangs look adorable one you! How are you doing today? Good, I hope! Thanks, Michelle. I always like to have a pan of Sable around. It’s just so versatile. What colors do you like to wear it with? I bet the Sable/Handwritten combo looks gorgeous. What liner do you like to pair with it? i read and crashed last night! i love me some sable — and for a smokey eye, i like using a dark purple base (eg macroviolet fluidline) and patting sable on top of it. paired w/ a purple liner, its lovely and vampy! I’ll try this out – thanks! im reading a book called the ninth wife — i picked it up at costco randomly one day. Nothing but love for Sable! The new hair looks cute! Thanks, Shiny. How are you doing on this lovely Tuesday? Love Sable and it looks awesome when paired with Paradisco & some pinks as well! Eesha recently posted … Purple eyes – Tutorial! Sable and I have a very special relationship. A couple years ago I was having a particularly craptacular day and went to a MAC counter for a pick-me-up. I told the mua I was looking for a shadow and she picked out Sable, put it on my lids for me and I fell in love. It’s been my favorite shadow ever since. I feel great every time I see that beautiful little pan in my palette. It looks great on the outer half of the lid with Jest on the inner half and Shale blended into the crease. ps. got my hands on Evolution Revolution finally and it is perfect 🙂 You are wonderful and your blog always brightens my day! I love Drop Dead Diva too! If only I could find out what makeup Jane wears, especially her lipsticks. 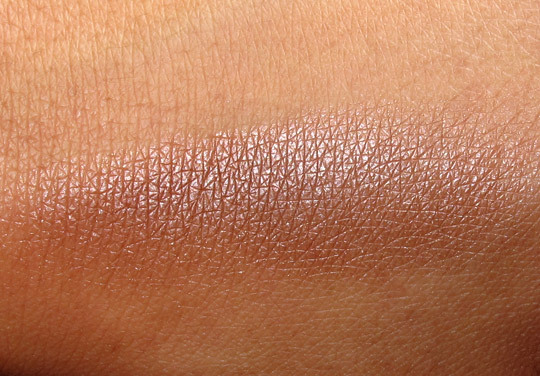 This looks like a really gorgeous shade that’s very versatile. Thanks for swatching it! I LOVE YOUR HAIR – so cute! Such a great neutral color! I absolutely love your hair too cute! I have to ask, is this the hot guy in drag who works at the MAC counter in the Union Square Macys in SF? If so, he’s awesome. Also, thanks for the MAC Unsung Heroes series– it’s been great for a MAC newbie like myself, who’s used to only seeing new lines reviewed. I know I’ve already said this, but I seriously LOVE your hair. I really feel like stealing it every time I see your pictures now. I love that color, and it seems that I do not own it yet. YET. 😉 I love MAC “Beaded,” “Haux,” and “Wild By Nature,” as neutral-ish shadows for everyday wear. I also agree that your hair looks super cute! Sable looks like one I need to try, since it’s work friendly 🙂 Your hair looks great btw! 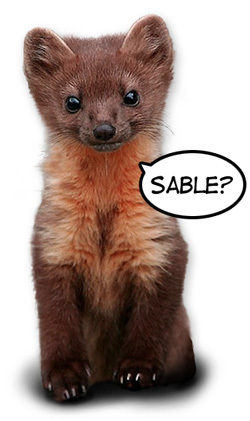 Love sable! My go-to work look is naked lunch on the lid and sable in the corner/crease. 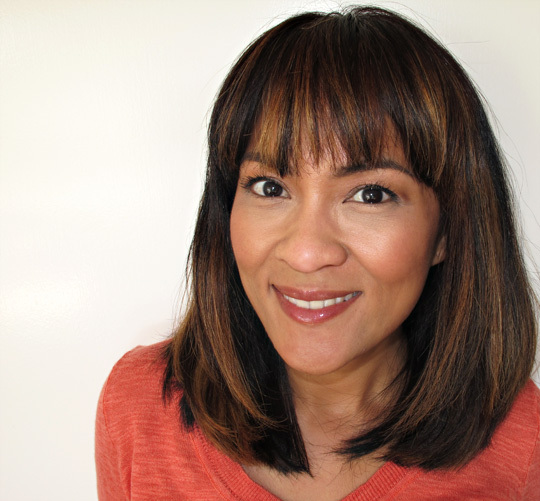 Have you done a post on Jane’s makeup in Drop Dead Diva? I particularly love her lipsticks!